Dr. Samuel Epstein spent his life advocating cancer prevention and fighting against industries that put workers and consumers at risk. For more than 50 years, Epstein raised awareness of preventable causes of cancer. Among his targets was asbestos, a naturally occurring mineral linked to mesothelioma, lung cancer and other deadly conditions. In his 1998 book “The Politics of Cancer Revisited,” Epstein discussed the elaborate cover-up that Johns Manville and other asbestos companies used to hide the dangers of the toxic mineral. He also addressed how the asbestos industry later relocated operations to developing countries such as Mexico and Taiwan. Epstein died of cardiac arrest on March 18 in Chicago. He was 91. Epstein was a physician, author, lecturer and political activist. Until the time of his death, Epstein served as a professor emeritus of environmental and occupational health at the University of Illinois at Chicago. Born in Middlesbrough, England, in 1926, Epstein moved to the U.S. in 1960. He worked for the Children’s Cancer Research Foundation, now the Dana-Farber Cancer Institute in Boston. He taught at Harvard University and Case Western University Medical School before joining the University of Illinois at Chicago in 1976. He authored 270 scientific articles and 15 books on the causes and prevention of cancer. During his career, Epstein became one of the world’s foremost authorities on the carcinogenic effects of toxic and industrial pollutants in the air, water, workplace and consumer products. Through his extensive research, he showed that most cancers are preventable by avoiding exposures to these pollutants. One of those avoidable carcinogens is asbestos, which was used extensively in construction and manufacturing for much of the 20th century. It wasn’t until the late 1970s that the U.S. began regulating the toxic mineral. Epstein added that asbestos workers aren’t the only ones at risk. “Mine wastes have contaminated drinking water, construction sites are often heavily contaminated, and the use of asbestos in so many products virtually guarantees that everyone will be exposed to it,” he said. Epstein publically supported the Frank R. Lautenberg Chemical Safety for the 21st Century Act, which overhauled how the federal government regulates toxic chemicals. In 2016, the U.S. Environmental Protection Agency added asbestos to the top 10 chemicals for priority action under the legislation. The U.S. is one of the few industrialized countries to not have a full ban on asbestos. Some called Epstein an environmental prophet or a toxic avenger. He never held back when fighting against negligent companies and raising awareness of the dangers that lurk in our homes, offices and schools. In 1995, he teamed up with consumer advocate Ralph Nader. Together, they released a “dirty dozen” list of common household products they labeled as dangerously toxic. Products on the list included Ajax Cleanser, Clairol Nice n’ Easy Haircolor and Lysol Disinfectant. Along with toxicologist and investigative journalist David Steinman, Epstein and Nader published “The Safe Shopper’s Bible,” calling out these carcinogenic products and offering safer alternatives. The article discussed the American Cancer Society’s indifference to prevention, bloated operating budgets, misallocation of funds and conflicts of interest regarding the cancer drug and pesticide industries. Epstein also accused the National Cancer Institute of pervasive conflicts of interest because they had corporate sponsors, including major pharmaceutical companies. Roberts, S. (2018, April 25). 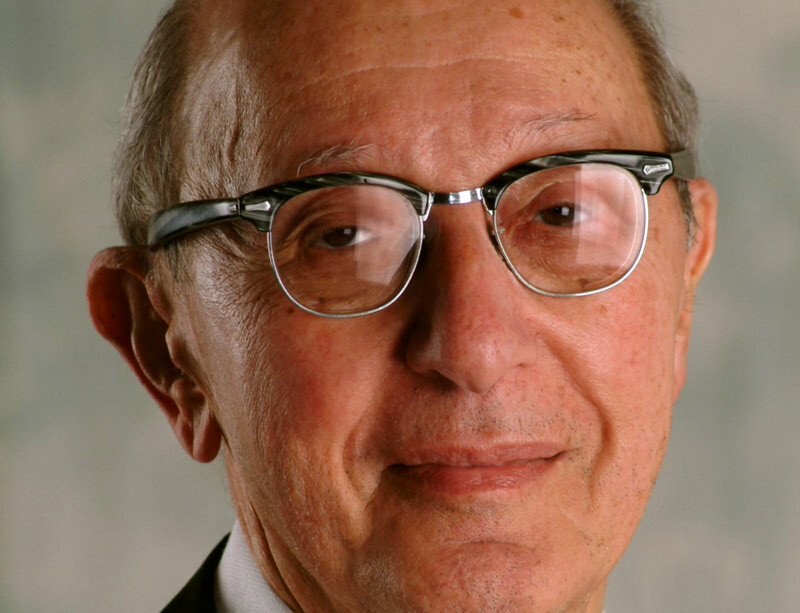 Dr. Samuel Epstein, 91, Cassandra of Cancer Prevention, Dies. Jensen, D. (2000, March). An Epidemic of Deception. Epstein, S. The Politics of Cancer Revisited. East Ridge Press, 1998. Congress.gov. (2018, June 18). All Information (Except Text) for S.697 - Frank R. Lautenberg Chemical Safety for the 21st Century Act. Epstein, S. (2010, June 28). Regulation of Carcinogens Is Four Decades Overdue.